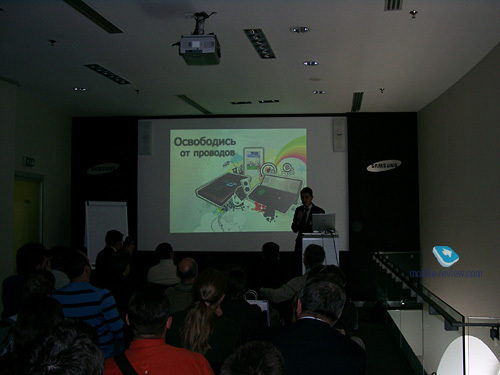 Last Wednesday, on September 12, Moscow saw a newsworthy event for press and Samsung’s partners, held in Samsung Gallery in Moscow. The exhibition hall’s fourth floor (I dare guess they don’t have stellar sales over there, but I have no data on that) gathered the company’s staff, representatives of the headquarters, press and other interested souls. The former were to announce something, while the latter had to play the roles of passive observers. 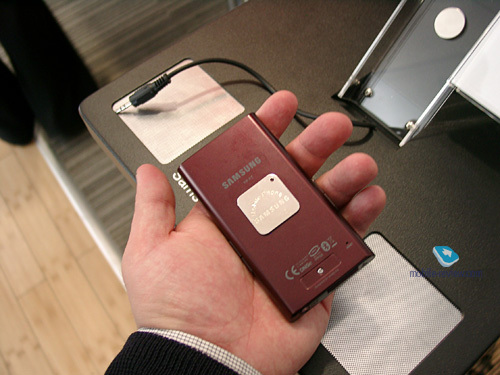 This time around, the whole event was centered on Samsung-branded audio-video solutions. All the guests found themselves in the middle of a stand-up party and were even offered superb dinner brought right from the Ritz Carlton hotel, which is two steps away from the Gallery. 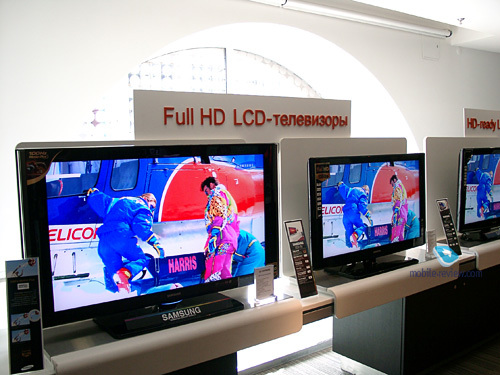 But the centerpiece of the action were not the dishes and drinks, undoubtedly delicious and alluring, but the debut of the company’s new players, which was their first appearance in Moscow, about a week after their inauguration at IFA in Berlin. 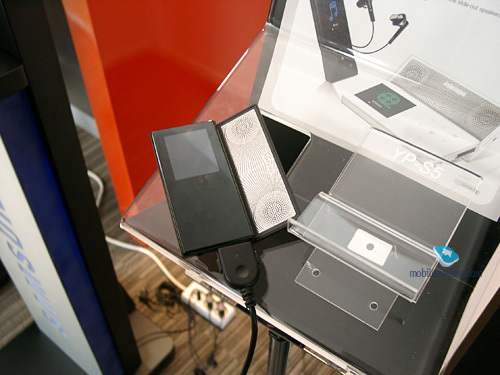 This time around the Korean company rolled out three devices at once (last year there were only two), and each and every one was better than the others. We already covered them in some of our news posts on IFA, and now we get to meet them in person, which is what this article is all about. Moreover, hours before I finished this piece, thanks to the company’s representatives, who appreciate contacts with mass media, we had managed to get our mitts on the first samples of these players. 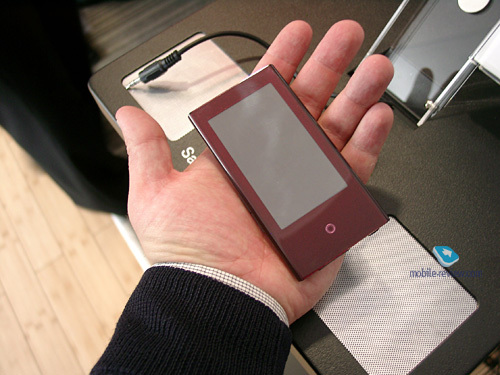 The indexes of these newcomers should be already well-known to those into portable audio or, at least, reading news items on these gadgets. 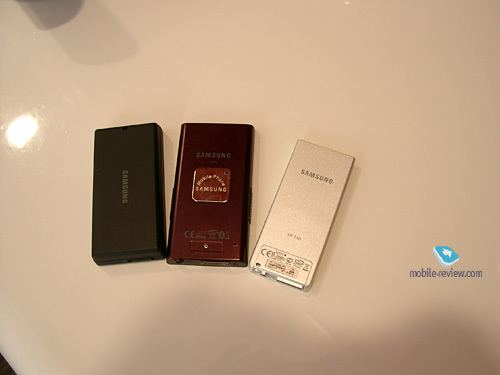 These are the P2, the S5 and the T10. While the S5 and the T10 continue and take already existing one step further - the K5 and the T9 respectively – the P2 turns out to be an all-round new device unlike everything Samsung has ever released into the wild. 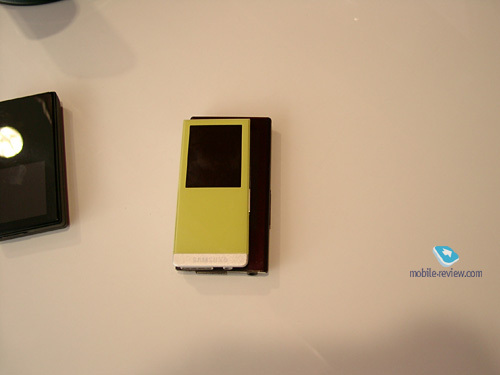 And all the more distressing it was to find out that two days after, some “fruit company” from Cupertino came up with a very resembling, both design- and positioning-wise, iPod Touch. I do hope that when all the brand-new iPods arrive here, I will manage to put these two up against each other. And in spite of my favorite move to keep mum on the flavor until the very last lines, this time the review will kick off with the P2. 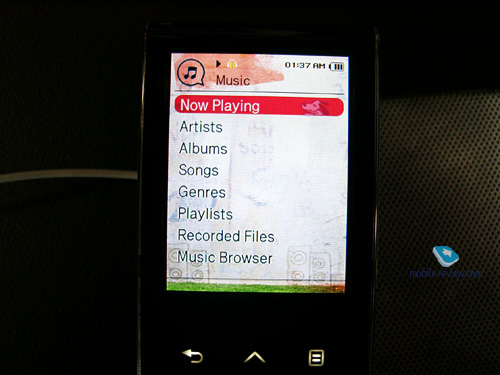 In a word, it is a multimedia-savvy player (Chinese MP4 prefixes aren’t particularly popular in Europe and the US) coming in with a touch-sensitive display, and, unlike, say, the Cowon D2, the Samsung P2 is the size of some today’s communicator, which, of course, does a lot of good for its technological talents. 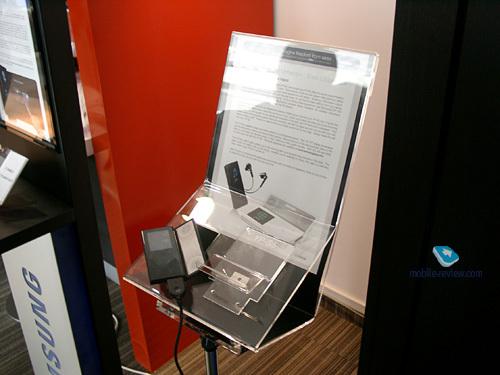 The jaw-dropping feature here is, obviously, the display – three inches from corner to corner, touch-sensitive surface. 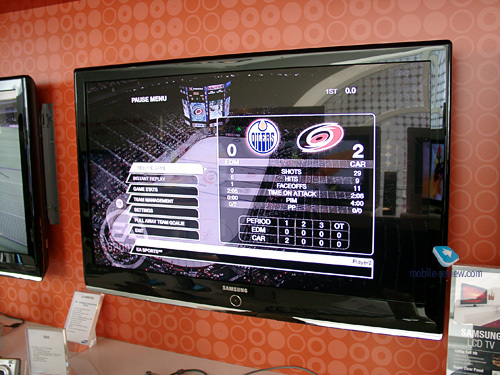 No MultiTouch support in the P2, but in return the menu sports a number of amenities tweaked to work with a touch-sensitive display. But, first things first. The player has a superbly built plastic casing, which is, naturally, beyond all our complaints. Nevertheless, a member of the Ultimate range (the flagship, the best, most cool-looking, a powerhouse with quite hefty price tag) would have been better off with a metal shell. Really, why that relatively cheap Nano is clad in metal, whereas the P2 enjoys plastic? I doubt it has something to do with being accused of rolling out a copycat. It sounds like Samsung is just not fond of metal (material, not music), or consider metal casings overly expensive. All other things aside, the P2 is very robust. Generally, the company’s latest and greatest players in terms of build quality and tactile feel they deliver remind more of its handsets, which is a widely known fact and it is a good thing it goes this way. Speaking of the design, especially with the recent iPhone/iPod Touch and LG Prada in mind, it seems that the P2 and the upcoming Samsung Armani will share a whole lot of things. 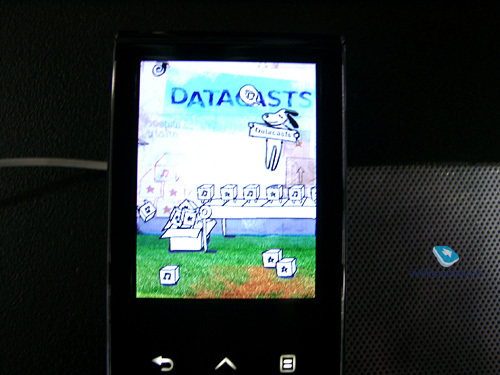 The player is indeed very similar to the phone – prolonged thin profile, no-nonsense looks, display dominating on the front fascia and a touch-sensitive button right under it in the middle…That said, I suppose it is pretty much enough for now – with this bunch of associations, I shall better look into them in a dedicated review. 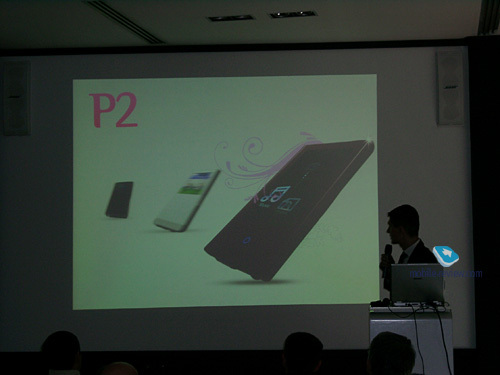 Regrettably, there are no live images of the P2’s interface around – the presentation saw only a barely working unit, so this time around you will have to enjoy only some live snaps we managed to take and the company’s own pictures. However, we will cram all photos we can make into the review that is to come really soon. 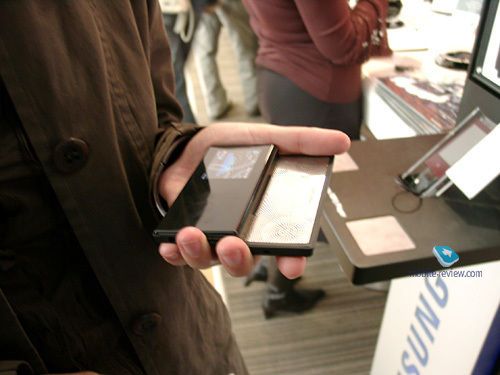 The player comes in a rectangular casing, which adds to its resemblance with the handset. Its width is pretty much comfortable, it fits in the hands well, and basically there is no reason it shouldn’t – 52 mm isn’t this much. It doesn’t have a slew of gimmicks on the casing, so as to give you an idea that the P2 is all about no-nonsense design. Two buttons on the spine for tuning the volume level, the rest is all touch-sensitive, including the key underneath the display. More on how to handle the P2’s interface, I think, will come in the review, but in two words, it breaks no new ground, saving for the trademark circular gesture used for pretty quaint menu navigation, when the icons start dancing around your finger. While on the face of it, this looks interesting and offbeat, to say the least, the ergonomics of this solution may be the real problem, so we will reserve our judgment until we have some quality time with it. 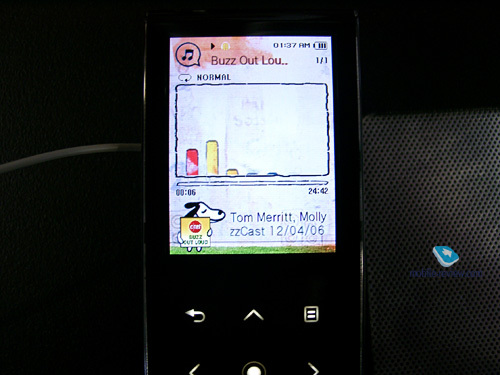 The display embedded in the P2 has been made with the best of PMP world in mind, which is also indicated by the resolution, common to some one-two year old, say, Archos-branded solutions of the same class - 480x272 pixels. This is quite fitting for the three inches of its diagonal, but we always welcome real VGA. 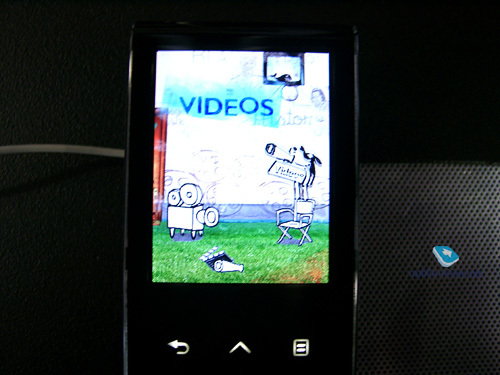 Nevertheless, as it is, the picture it displays is very vibrant and crisp with loads of details, meaning that video capabilities have been chucked in not just for the sake of it – like I said, a 3- or 4-inch diagonal is more than potent when it comes to video sessions. Some will side with 2-inch baby screens or “monster-displays” like that of the AV700 from Archos, make no mistake about it, so everything above is my personal vision of what constitutes great video experience. 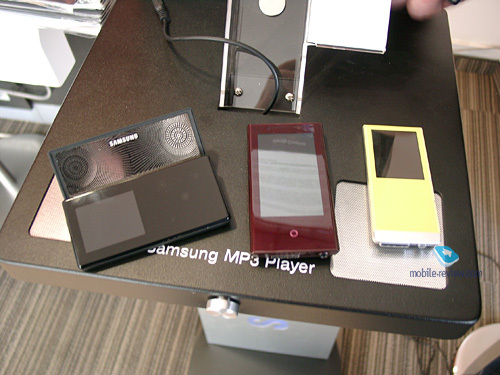 In any event, the P2 is a milestone product for Samsung – the company comes into this area with some serious intentions to roll out the world’s finest (at very least the most technologically savvy device) video-enabled flash-powered player. If it were not for Apple, as I see it, Samsung could make it. 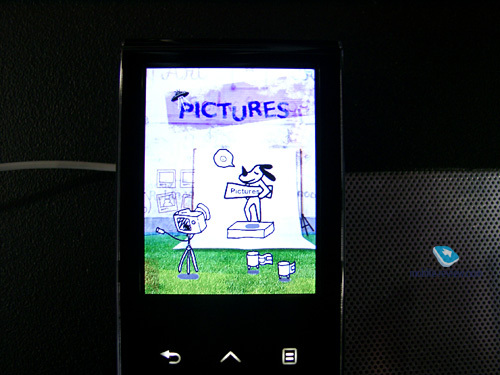 But as it stands now, the P2 is bound to struggle against the iPod Touch until other players join the race. However, “other players” are seemingly far more concerned about other segments. Creative launched its Zen in a lower segment and is unlikely to deliver a worthy rival for Samsung and Apple any time soon. In its turn, Sony doesn’t bother itself about “big” players and sticks with its range of 2-inch players, without focusing on video related smarts in particular. The same goes for Sandisk, even though, looking from here, this company seems more like a black horse and its real intentions are shrouded in mystery. 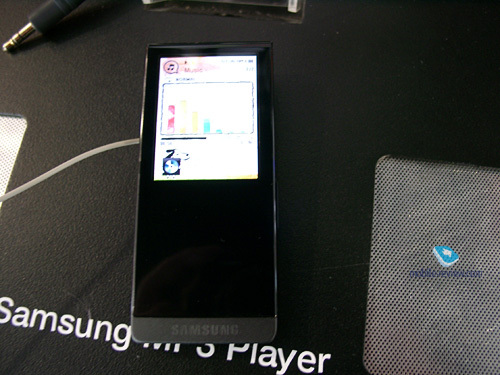 While the player boasts one of the segment’s best displays, it still falls marginally short of the iPod Touch. 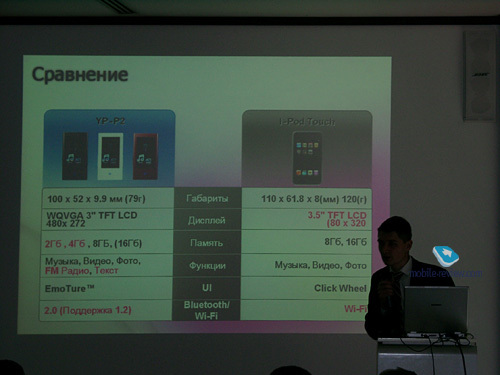 But Samsung is not losing its heart, banking on other amenities found in the P2 – 2 and 4 Gb editions, so popular on developing markets, as well as Bluetooth instead of Wi-Fi, which is still quite awkward to use in Russia. 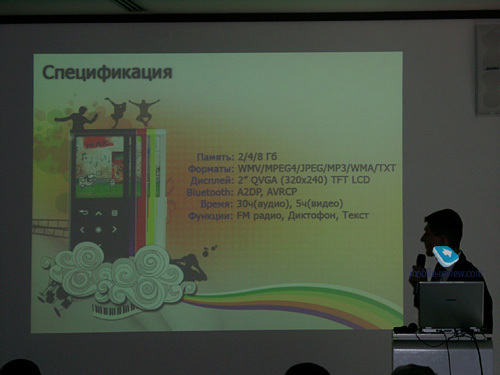 Apart from these positives, there are other power features onboard – FM-radio and text reader. 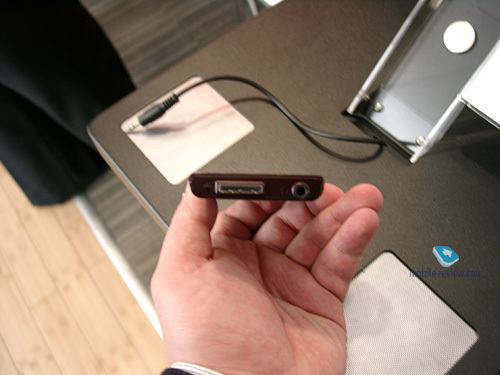 A microphone, alongside a sound recorder is also available with the P2. To my mind, leaving the price tag aside, the P2 lacks only one thing – memory expansion slot. Since Apple is into making “don’t-modify-me” products, I doubt the iPod will obtain this slot in the near term, so this feature could well benefit the P2. Especially in Russia – the Moscow office keeps telling this to the headquarters, still no response, though. Now some words on the S5. Strange it may sound, but I liked this player better. As you might have already guessed the S5 continues the heritage of the K5, which is all around Fergie’s clips. 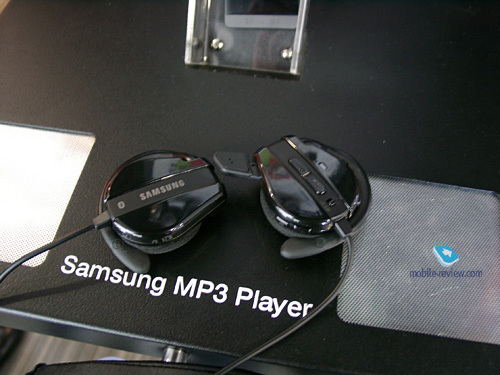 By the way, Samsung’s representatives couldn’t shed any light on what clips would feature the new S5 as a must-have accessory for a pop star. The one and only, if I’m not mistaken, slider-type player with speakers has become, which is important, thinner, lighter and smaller overall. The original slider had a whole lot going for it, but simply did not deliver when it came to display and dimensions. 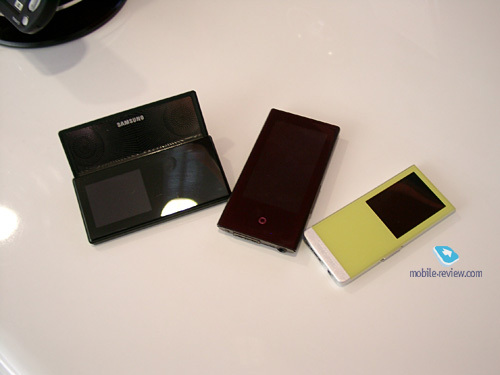 What is more, they say the speakers installed into a skinnier casing will produce clearer and louder sound. 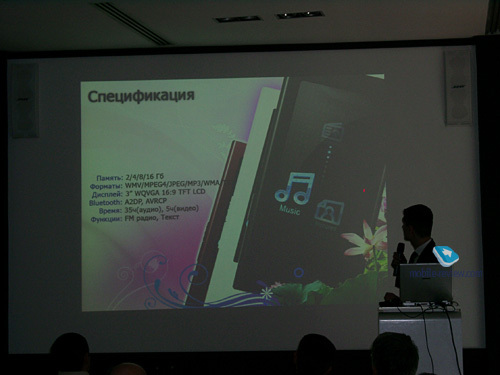 We couldn’t see if that was true in such music-unfriendly environment as Samsung Gallery on the day of the presentation, so you will have to wait until our in-depth review. 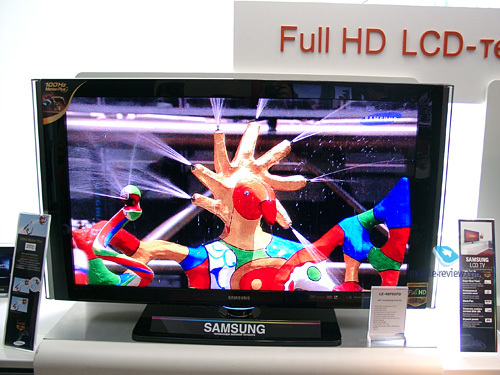 Among other amenities of the revamped edition of the K5 is the enhanced display – the S5 boasts a 220x176-pixel unit. It seems the “aged” Indigo still has some arrows in its quiver. 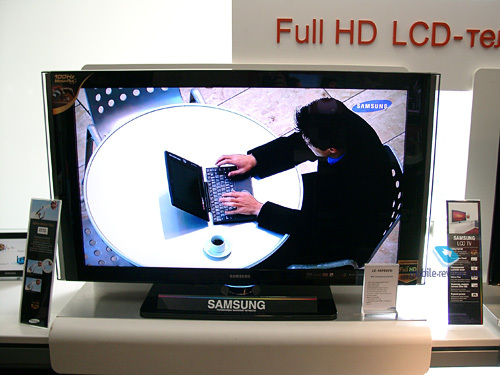 At least, the display’s specs and picture are very similar. I won’t dwell upon the casing quality here – the only thing I feel like mentioning is that it lives up to our high expectations. Now for the design, which is the field where the S5 improves over its predecessor – same lines and frames look prettier on a smaller casing, which is quite a rare occasion these days. On top of that they have refined the speaker grill, which now looks a fair bit ore original, but I still like the one in the K5. Now, what sides of the S5 might actually appeal to consumers. 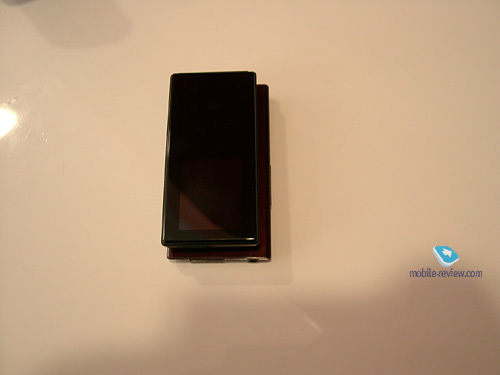 First, it is an offbeat device, which is like no other offering. It is not everyday you see something new in portable gadgets, and when such solutions do come up, they get a lot of people talking, even though reviews may not always be positive. Then, its feature set that you won’t find among the players employing other form-factors. It is always great to put a K5 (S5) on your table and quietly listen to favorite tunes while working – you feel better, nobody gets distracted. Basically, this device is all about “nice” features – the engineers have gone beyond just a pair of these and tacked on another sweetener. 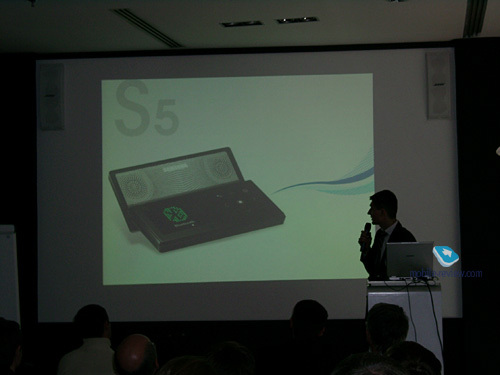 Probably I should have mentioned that earlier, but the S5 features Bluetooth 1.2 onboard. The first thing that comes across you mind when reading these two words is the ability to beam sound to a pair of wireless headphones. No doubt about that, but you can come up with some other ways to enjoy its wireless connectivity options. 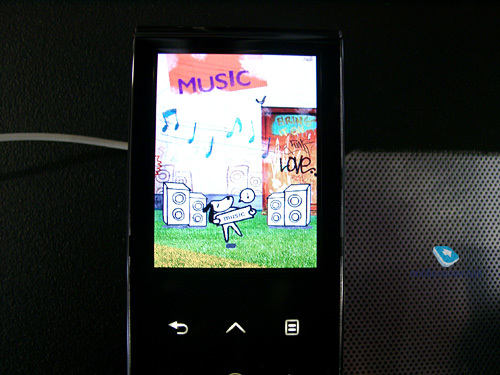 Like this folder-type player with bundled speakers and Bluetooth turns into a great portable hands-free kit. Apparently, your phone can be anywhere, while with the S5 you will be able to make and receive calls. I’m going to give it a go very soon, but as it stands now, this idea looks pretty interesting. Other things of note include alarm clock, radio, sound recorder and another small add-on – audio-in, if you happen to use these tiny speakers with a PC. Rounding it all out, here comes the T10, which will make its appearance on the Russian market under its predecessor’s name – the Indigo. It is very easy to figure out which model is now succeeded by the T10. However, at a glance this player might confuse you (to be honest with you, I was embarrassed by its first official image). Here is why. Why would they need to step away from the T9’s quaint and yet ergonomically-friendly shapes? It looked stellar, was very palm-friendly and generally was above the faceless crowd of other players. 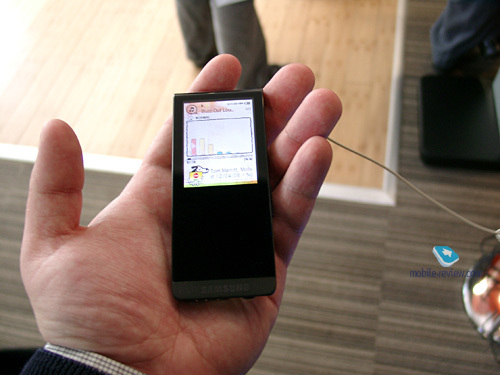 Instead of that, the new offering brings prosy rectangular lines and already-stale touch-sensitive controls. The only hope that may serve as some kind of relief is that Samsung does know what it is doing and the T10 has been made rectangular for a technical reason. And functionality-wise, it is the good old Indigo with a number of refreshing touches which are a tad more than skin-deep enhancements. The T10’s display is above all other things, however. Made in keeping with the latest trends, it is placed vertically, measures 2 inches from corner to corner and comes with the resolution of 320x240 pixels. These specs are common to all today’s mid-rangers, be it the Cowon D2, or the new Nano or the Sony A800. But there are two menu views – one with the traditional no-nonsense design, and the other one is quite something indeed. Samsung has brought its very own toon, which runs across the animated background, queerly poses, depending on the item you picked. No doubt, it is quite attractive idea with neat implementation, but I suppose it is the kids who will appreciate it, and obviously the T10 doesn’t qualify as a gadget for the youngest of users. 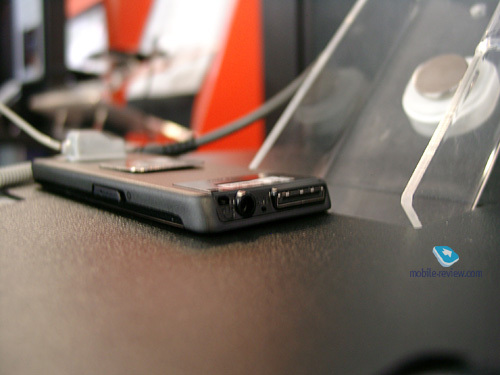 Another trump of the T10 is Bluetooth 2.0 and the ability to beam audio to two devices simultaneously. 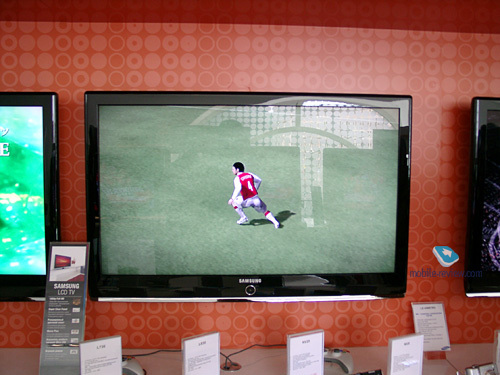 I already wondered about players with two audio jacks, and here comes the T10. I have certain doubts about how many users will actually fall for that (listening to the same music in two pair of headphones) in Russia or in other regions. 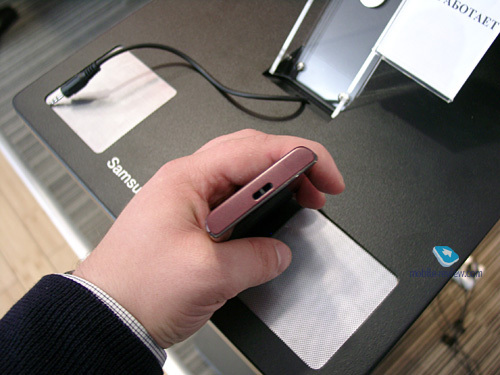 Samsung suggests beaming audio signal directly to Bluetooth-speakers or wireless earphone. Honestly speaking, I don’t find this method any more consistent. Think of it, why someone would use a pair of headphones, while exactly the same sound is coming out of external speakers or vice versa. Perhaps, over at Samsung they see these things in a different way, which is the only explanation I hope for. By the way, some words on Bluetooth. The company seems to have finally awoken to the fact that wireless accessories are quite important, so the market will soon see another sustainable player come in. And for the time being they are offering the BS300 (Bluetooth-speakers) and a pair of wireless headphones, which is, if my memory doesn’t fault me, the BH270 headset. Both of these widgets will soon make their way to our mitts – either mine or Sergey Kuzmin’s. So, that’s pretty much about it – our first somewhat tangled peek at Samsung’s brand new audio-video players. Had they been less interesting, I have some serious doubts that you would’ve been reading this now. But, apparently, they deserve our fair bit of attention. 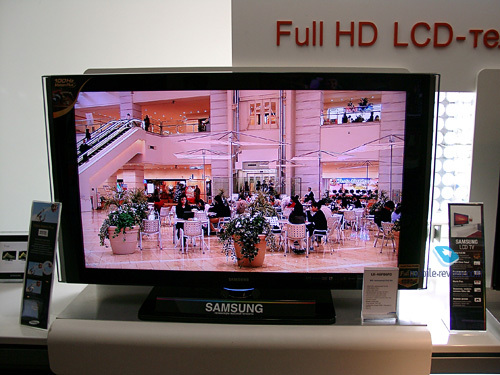 And to round everything out – here is a couple of snaps of LCD tellys by Samsung that caught our eyes with fine image quality.